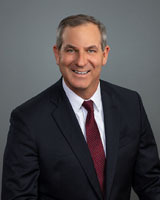 January 25, 2019 - Philip Wartenberg Speaks on Paternity at 2019 Family Law Review Course - Tampa Full-Service Law Firm | Allen Dell, P.A. Philip Wartenberg presented at the 2019 Marital & Family Law Review Course in Orlando on January 25, 2019, on the topic of paternity. The Review Course is held annually as a joint seminar of the Florida Family Law Section and the Florida Chapter of the AAML, and is recognized as one of the largest legal seminars in the Southeast United States. Mr. Wartenberg is a board-certified specialist in the area of marital & family law and a current member of the statewide Family Law Section’s Executive Council.